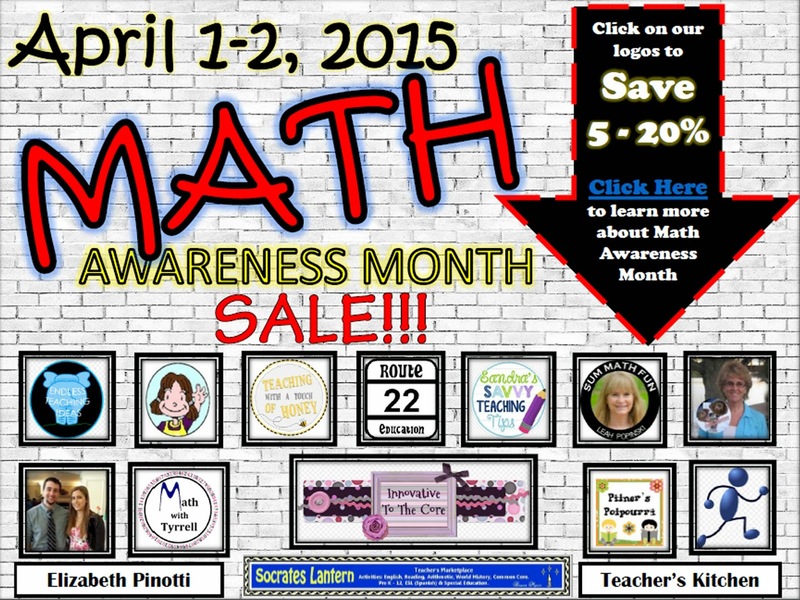 It is Math Awareness Month in the United States, so to celebrate, there are a few of us over at Teachers Pay Teachers who are throwing a 2-day Math product sale. Click on the photo if you want to download the links to the other stores who are having the sale. CLICK HERE to go to my store and pick up some math products for sale!